One of the most feature rich systems on the market. Built at our UK factory, the µMeta is virtually maintenance free and built to last. We know of no other system on the market today at this price point that delivers the performance and functionality of µMeta. By far our best selling machine, µMeta has almost all of the features found on our flagship Meta-C model. Coming as standard with a fully automatic, pneumatically operated access panel that provides the operator with an immediately obvious indication when the job has finished, (the door goes up), as well as 180° access to the work area, µMeta is capable of competing against alternative systems at twice its price point. μMeta can be configured with a variety of lens options and with 450mm of Z-axis travel distance controllable by software; μMeta jobs are a few mouse clicks to set-up and repeat with consistency. What features does the uMeta laser system have? Designed, assembled, configured and tested in the UK to ISO9001 (2015), CE and RoHSII regulations and pending certification after testing by the TUV quality authority, µMeta is one of if not the most feature enriched and functional 1µm fiber laser marking workstations on the market today. We choose very high grade components and really do take our time to build this model, which is reflected by the proven track record of near zero faults in the field across a large number of units installed. At this price point we feel that at time of publishing there really is no other system on the market to compete with µMeta on a like for like basis, so it’s no surprise that µMeta is our best selling model by far. µMeta is a Class 2, 1µm fiber laser marking workstation. Although it's our entry level model, µMeta is one of our most versatile marking lasers. 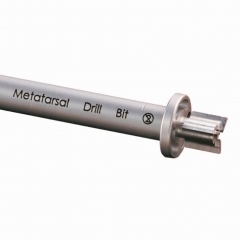 It's primarily used for marking metal parts with codes, serial numbers, logos, etc. 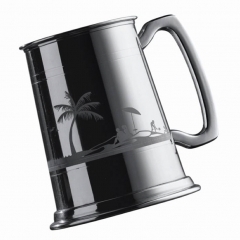 Many different types of business use µMeta but predominantly general engineering, job shops, general engravers and trophy suppliers are among our most frequent customers for µMeta. What is the laser source within µMeta and who is it manufactured by? µMeta incorporates a Q-switched 20w pulsed fiber laser that's manufactured by Raycus, who are one of the World's largest manufacturers of pulsed fiber laser technology. Why do you choose the Raycus Q-switched fiber laser instead of a MOPA fiber laser? 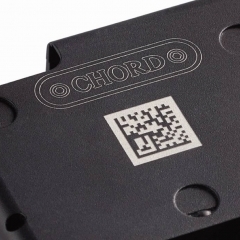 A Q-switched pulsed fiber laser is well suited to the majority of metal marking applications. The price/performance of this laser allows a wide range of applications at the lowest possible price point. Where the application deems it necessary we offer other types of laser within our Meta-C model, which is significantly higher priced. Why is µMeta only offered with one type and power of laser? 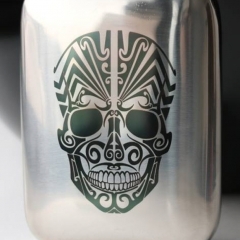 µMeta is designed as our entry level 1µm laser marking workstation and as such we subsidise the price of µMeta to make it affordable to a greater number of customers. For more demanding applications we have other models with wide ranging laser source options. Can µMeta be used in Class 4 mode? The access panel of µMeta allows a full 180 degree access to the work area. In 'maintenance mode' the interlocks are defeated and the door will remain up, allowing operation in Class 4 mode. While Class 4 operation is technically possible Class 4 operation is not a function of our 'intended design' under CE regulations, so it is not recommended. 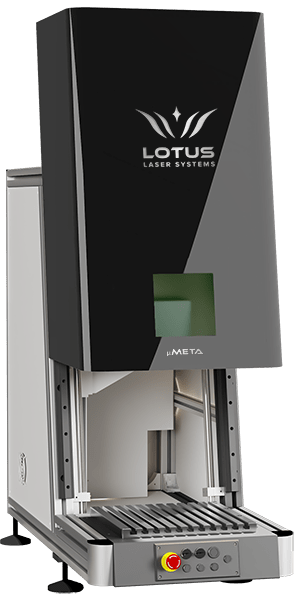 Does µMeta require installation by a qualified Lotus technician? Absolutely Yes! From a health and safety perspective training by a qualified/authorised Lotus technician is mandatory. From a practical perspective professional level training will help you maximise throughput and output quality and minimise errors and maintenance. Ideally, training should be at site but if this is impractical we offer training via webcam. Aside from µMeta what other ancillary items do I require? µMeta must be placed upon an engineering grade bench or other similar type of strong and stable platform. A form of fume extraction is mandatory, the performance of which will be determined by the core application. A source of clean/dry air is required to drive the pneumatic access panel and a PC is required for the control software. We have installed hundreds of these machines and to date we have a near to zero failure rate for any of the key µMeta. What kind of maintenance does µMeta require? µMeta requires no significant maintenance other than general, periodic cleaning. Over time some adjustment may be required to the pneumatic and mechanical elements and if necessary these elements should only be adjusted by a qualified Lotus technician. Does µMeta incorporate any consumable parts? What's the warranty with µMeta and can this be extended? The standard warranty for µMeta is 2 years on a parts replacement basis; this includes the laser source no matter what the level of use. This warranty can be extended at extra cost by an additional +3 years max. T&C apply. Is the software for µMeta restricted in any way from the more advanced Lotus models? No; µMeta uses the same software as even our most advanced models.